Savor that moment when you get to hold a great tasting treat like no other! Peaches and cream are on the road to becoming a perfect blend you cannot miss! 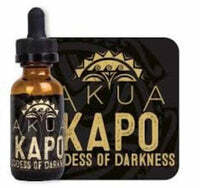 Revitalize with Akua E Liquid! A magical experience for your senses! Make sure to have one today!